Who got distracted by watching knife skill videos? I DID. Who also decided to prep cinnamon rolls tonight for her birthday breakfast!? STILL me. The recipe for this lovely, fudgy cake comes from one of my recent favourite cookbooks. 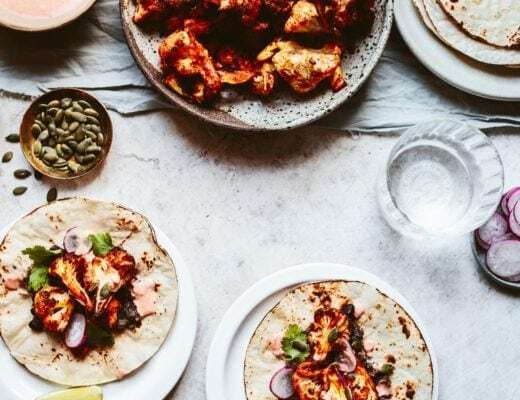 You may be familiar with Kamran’s blog, The Sophisticated Gourmet, in which case you’d also know his first cookbook was recently published! I’ve followed along with the behind-the-scenes pics he’s been posting on instagram for SO LONG. I craved this book, people. And let me tell you oh how worth the wait was! I’ve already made the bagel recipe (twice as regular bagels and three times as an adapted invention: Bagel Bread Loaf which I posted a few months ago), the blueberry cornmeal muffins, the blondies plus now the flourless chocolate cake all of which lasted less than 24 hours. It’s an utterly gorgeous book – all of the recipes styled and photographed by Kamran himself. I only made 1/3 of the flourless chocolate cake so that it was juuust small enough for two people to share (keepin’ with the theme, guys!). I dolloped freshly whipped double cream on top and scattered on some juicy pomegranate arils. I have no clue why food seems to go all red velvet/strawberry themed for Valentine’s – pomegranates are the ancient fruit of love (..okay apparently so are quinces but they’re not red so they can get out) AND they’re red AND they’re a lot more seasonal than strawberries or raspberries (for the UK, at least). So YAY for pomegranates, beautiful books and rich chocolate cakes. See you when I’m 19! – I only made 1/3 of the batter from the original recipe so that it makes a small, quite thin cake (enough for 2 HUNGRY or 3-4 normal people!). – It’s a very rich batter which bakes to a kind of brownie-like texture. I highly recommend serving with the whipped cream, whipped coconut cream or vanilla ice cream. Just something to cut the intensity of the chocolate flavour! – Don’t have pomegranate? Use sliced strawberries or raspberries instead. – This is an amazing dessert to make ahead of time. Just chill the baked, cooled cake until you’re ready to serve then decorate with the cream + fruit and EAT! To make the cake: Preheat the oven to 350 F (180 C). Grease and line a 6 or 4-inch cake tin with some oil (Alternatively, grease 2 large muffin cups). In a large bowl whisk the egg whites whilst gradually pouring in the sugar until firm peaks form. In a medium bowl, mix together the egg yolks, salt, cocoa and vanilla. In a small pot melt together the chocolate and butter over a low heat until melted. Pour this into the egg yolk mixture and whisk to combine. Slowly beat the boiling water into the chocolate mixture too. Mix about 1/4 of the beaten egg whites into the yolk mixture to loosen it. Then pour the yolk mixture into the egg whites and gently fold together using a rubber spatula. Pour cake mixture into the prepared tin and bake for 20-30 minutes, it should still be set and dry on top. (The 6" pan will need around 20-25 mins, muffin tins will need 15-20 mins). Leave to cool completely in the tin before turning out onto a plate. Serve with the whipped cream and fresh pomegranate arils. *tis indeed an affiliate link. Thanks for your support! Oh! This looks so yummy! And I love mini cakes! This cake is absolutely stunning and of course perfect for Valentine’s Day. A good decadent chocolate soufflé would be my ideal two-serving dessert! brownies. I want brownies 24/7. Happy Birthday! This cake looks so good and I still can’t get enough pomegranate arils so this is perfect. words cannot express how much I love your website! If I could transform any desert into a two-serving size, I would say mini blueberry pies or a heart-shaped monkey bread. heart shaped monkey bread = WOAH YES! Any dessert shrunk to a size for two is good. As long as there is no fruit and chocolate melding. I just can’t do it. No matter what. Chocolate. OR fruit, but not together. Besides this, def banana bread. My all time fave. Loved this series, girl! What a gorgeously delicious cake. Happy Valentines Izzy! OOOOppps!! Sorry ’bout the double Z’s duh!! Red Velvet Cake for 2 please! This looks delicious! If I were a two serving desert it would have to be an old fashioned cheese cake! Brownies. Lovely, decadent, fudgy brownies. But I don’t have a lot of brownie eating parties, so usually I wind up with more brownies in my tummy than any one girl should have! I’ve always wanted to try to make a lovely Creme brulee! I think they look absolutely equisite and so delicate. however, I have yet to venture out and whip 2 up because I don’t have a blow torch. This looks so ridiculously good omg! This is exactly what I would want as a special dessert for two, but with double cream and raspberries instead to top because it’s just the perfect combo! Two of my favorites….. chocolate and pomegranates! Love. Cakes like this are perfection! Easy and decadent! Love this! Oh, this could not be more beautiful!! And I LOVE that you scaled it down for two, of course <3 this whole V-Day menu is perfection, Izy. And YAY HAPPY BDAY!!!!!!!! :D:D:D! Pumpkin Pie for two would be great…so I don’t eat the whole pan! This looks so aesthetically beautiful and yummy! I am now going to make it for my friends! If I was going to make a two-person dessert (besides this one) I would make a two person butterscotch pudding. ANY dessert?? Without a doubt it would be my grandfather’s hazelnut torte. It’s almost entirely made of hazelnuts and he puts an airy whipped cream on top. PS. this cake looks heavenly and I just happen to have a pom in the kitchen right now so we are definitely making this! I have a weakness for molten chocolate cakes. Add a glass of red wine in there are you have absolute perfection! Such a striking cake! pomegranate + chocolate is easily one of my favorite combinations. I can’t wait to try this recipe out this weekend! this is gorgeous – it looks awesome!! I’m gonna have to go with chocolate chip cookies. Like Levain Bakery style. so tough! probably apfel strudel (with vanilla creme on top of course) ! I know this really isn’t a dessert but I love splitting a huge frappe with my sister. If I could have any dessert be two serving it would be PIE! I love french silk and banana chocolate cream pies, but I have to eat the whole thing when I make it (I know, such a hard life, right?). Maybe it’d be possible to do mini ramekin pies? It would have to be cheesecake. Pie! Always pie! With a vegan, spelt crust. Banana pudding, my honey’s favorite! Two serving dessert – dobashe cake. Yum! That looks amazing. I can’t wait to try it!! Hmm two serving… I would have to go with chocolate peanut butter cake. Flourless chocolate cake, for sure. Gorgeous! 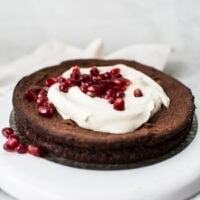 I love the combination of chocolate and pomegranate. Plus, pomegranate always makes everything look so beautiful! If I could have any dessert between two it would be a cheesecake, like a fridge one, or a cashew one 🙂 And I wouldn’t make it any smaller because two people can easily polish it off, aaand maybe I have, shh! I would love to find a 2-serving version of a healthy pecan pie! Apple Raspberry Pie – it is perfect warm from the oven, with ice cream, cream, the next day – IT IS PERFECT FOR ANY TIME! A two serving dessert? Hm… Cakes and pies. I always always want a bite of everything and then there’s always so much leftover. So it’d be nice to have just one or two servings of desserts. Especially when there are so many decadent layers. have the BEST birthday lady! you’re already off to a great start with your cinnamon filled morning!! many happy returns izy! Happy early birthday/ v-day, girl! And this cake is so so gorgeous. If I could have a dessert for two, it’d definitely be a creme brulee. They’re so lovely to serve as individual portions, and can be customized to the person’s individual likings. And, not to mention, they are SO dang good. For dessert as a ‘two-serving’ type I would prepare a Molten Lava cake. This cake looks amazing! This would make any valentines day. If it were up to me – hmm maybe it is – I would make lemon meringue tarts for 2 to sweep my date of their feet. The book sounds amazing too! What a lovely giveaway prize. AH! I forgot to answer your question! If I could have any two-serving desert, I would make a delicious tiramisu-for-two! It’s perk us up for a late-night date and I can’t get enough of coffee flavour. If I could have any dessert as a two-serving size… I would probably still pick one ginormous family size apple and rhubarb crumble (with vanilla ice cream AND custard – hot and cold) because it’s my favourite and the bigger the better! I would love Sticky Toffee Pudding for two! It’s one of those things that is so rich that you can’t eat too much of it so you don’t want it floating around for days. It’s just too delicious though! I love that you did this in a small proportion for 2 and the pomegranate arils are so pretty with it!It’s perfect for tomorrow! I can not go past creme burlee as my dessert of choice for two. Your choice to use a big pan is so much nice in chocolate cake than mini ones. The bigger the better in cake is my motto! From all these recipes you have tired, I have to get myself a copy! Omg. This is a such a tough choice but I cannot choose between tiramisu and flourless chocolate cake. So, maybe a hybrid of the two? Does that even exist? I’m off to find out! It definitely would be Limoncello plum tart! Goodness, this cake looks PERFECT for V-day (almost as perfect as cinnamon rolls for birthday breakfast! Happy Birthday!) I’d have to go with something lemon-y as my 2 portion dessert. Yummy, easy & quick to make, simply perfect!!! As for desserts for two…I appreciate all small-scale recipes. Anything with chocolate is popular at our house, like chocolate molten cakes! I’ll skip the fruit (does not go with chocolate in my opinion), but the cake + whipped cream look amazing! Thanks for sharing! I would love a giant freshly baked cookie with ice-cream on top! This cookbook looks awesome! Probably a giant milkshake or cookie (ie skillet cookie). But I’m sure I’d still find some way to be all “This is ONE serving.” I’m working on sharing. Hummingbird Cake…I can’t stop eating it!!! This recipe looks amazing! And, is the perfect thing for my friend with the trifecta of food allergies – gluten intolerant, nut allergy and lactose intolerant. Also, if I could pick a dessert to have to serve two, it would have to be the David Burke Kitchen toffee monkey bread with banana caramel and maple pecan ice cream, which claims to be for two but actually serves waaaay more. This looks fabulous! Will be making. I would love a small scale recipe for tiramisu! It’s my favorite dessert but since I live alone I don’t want a whole pan tempting me in my refrigerator. Looks delish! Ummm…anything with peanut butter and chocolate. LOTS of dark chocolate. 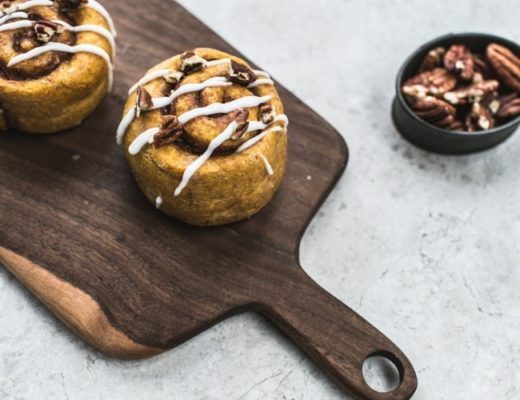 It would deffinetly be cinnamon buns (vegan please) because so good! The recipe from ohladycakes is to die for, you have to give it a try! What a beautiful menu, but the cake is the highlight here, I’d love a slice of it! Pinned! Yum! I would have to be boring and say gelato. With a few different flavours, cause it’s more fun that way. Peanut butter skillet cookie with vanilla bean ice cream! i would take a cheesecake for two. Ice cream for two, eaten straight from the tub! Some kind of chocolate cake with cherries. A version of the schwarzwalder kirsch, without too much cream and sugar :). Happy birthday, Izy! 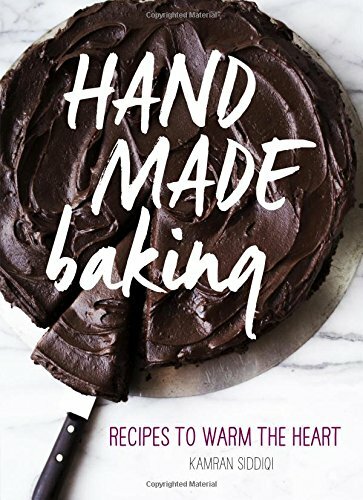 This cookbook looks amazing! Thanks for the opportunity. I think I would want either a pumpkin or apple pie as a two-serving dessert. Anything with cinnamon really! Just a simple, two-serving chocolate cake would be perfect! Really looking forward to trying this cake; chocolate + fruit is the greatest! def would have to have a berry coffee cake with a TON of crumble on top! Gluten-free brownies or chocolate chip cookies à la mode! Baked in little ramekins and topped with a scoop of vanilla bean ice cream. YUM! any dessert with chocolate would have my vote, so this looks perfect! Looks amazing! Will try to make it this weekend! What a cute cake! I love the pomegranate seeds on top. I would definitely make a tiramisu as a two-serving dessert. That or mini chocolate chip cookie cakes with mocha ice cream. Delish. I love cupcakes so much. I think some cupcakes with fruit (pomegranate seeds are my favorite), are the best dessert ever! Definately chocolate souffles =) Or anything with chocolate, really. Homemade ice cream. I wouldn’t feel as guilty eating the whole batch! Definitely this cake I made my boyfriend for his birthday once – with this awesome Serbian biscuit ‘Plazma’, orange juice and dark chocolate. Oh yeah. Wow, what gorgeous photos!! Awesome site, delectable post! In response to the raffle question, I would be absolutely giddy if presented with a coconut yogurt mousse, topped with any combination of peaches, mangoes, blueberries, almonds, pecans, and coconut chips. I imagine pomegranate seeds would be incredibly scrummy as well. The dessert would have to be served with a spoon to do it justice. Peach Crumble with Homemade Vanilla Icecream!! Brownies. All the brownies! Thanks, Izy! oh definitely a flourless chocolate cake! and AWESOME giveaway – thanks for the chance!!! Making this tonight – in muffin tins! Happy birthday! I can’t wait to try this cake. A layer cake – mainly because tiny layer cakes are adorable. May be asking the obvious, but the recipe that you have posted, did you already cut it in 3rd? You said that you made 1/3 of the recipe. Is it 1/3 of the recipe from the book or 1/3 of the recipe that you posted? My perfect dessert is a nice warm brownie. Warm chocolate chip cookies with some ice cream! Wow, that cake looks delicious! I’d go for a good slice of chocolate cake any day! Wow! Happy Birthday! 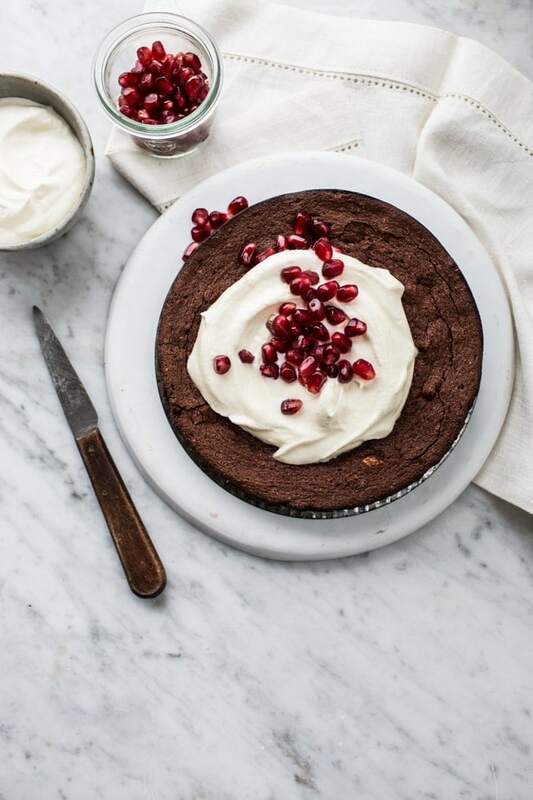 Beautiful photos, esp the chocolate / pomegranate cake on the marble. Two serving dessert? Maybe fresh blackberry crisp, baked in a stoneware bowl. Or a baby sweet potato pie? Thank you for the giveaway, it’s sweet! I’ve been thinking about getting his book. rhubarb hand pies! Happy Birthday! Oh I’d love to have a 2-serving coconut cream pie. Looks delicious! Mini chocolate peanut butter pies sound tasty right about now! Saw this too late for actual Valentine’s but it sounds delicious! I would have a simple cheesecake for two – basic, no toppings, very rich and creamy! I’m seriously craving a ridiculous chocolate cake right now. This one might fit the bill. Who cares about V-day? It’s all about the chocolate, isn’t it? That’s why I baked chocolate muffins (from the London Bakes blog, sorry) last Saturday. You can make as many as you want and share them with only the right people 🙂 But this cake looks delish too! This looks to die for. 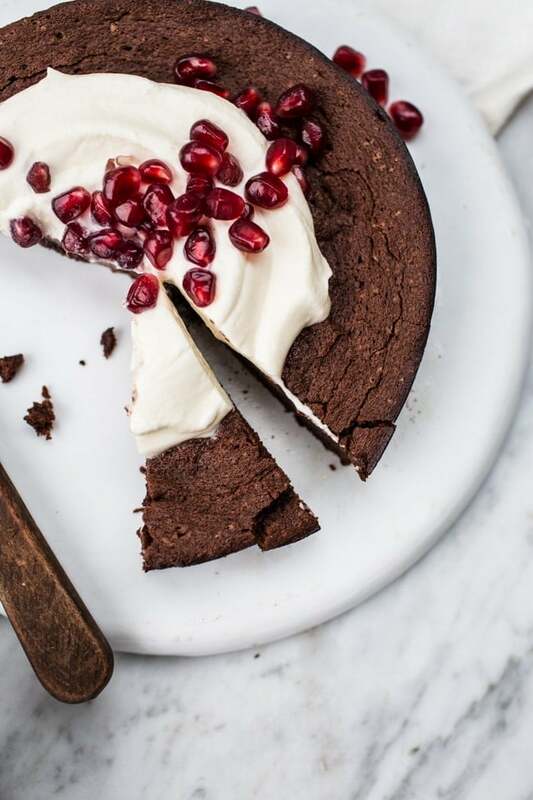 I loooove chocolate way more than is healthy but would never have thought to combine with pomegranate seeds–interesting!! I would love some of this flourless chocolate cake! Definitely a chocolate lava cake although I’m not sure I could share it–this looks amazing! thanks Mad! Hahah I think I would’ve been jealous of your wine + cake too 😉 So glad you enjoyed it! A cheesecake with lots and lots of chocolate. Fruit crumble with custard. Mmmm. O my gosh, that looks yummy! Anything dark chocolate! this cake looks amazing to me – if it was 2 servings, that would be great. Um, apple pie? No, wait – chocolate soufflé? Na – A giant chocolate chip cookie? Actually, maybe something with blueberries? Okay, okay, I decided: anything with sea salt on top. Brownies with salted caramel ice cream!! Would it be cliche to say chocolate souffle? Cause that’s what I’m thinking!! 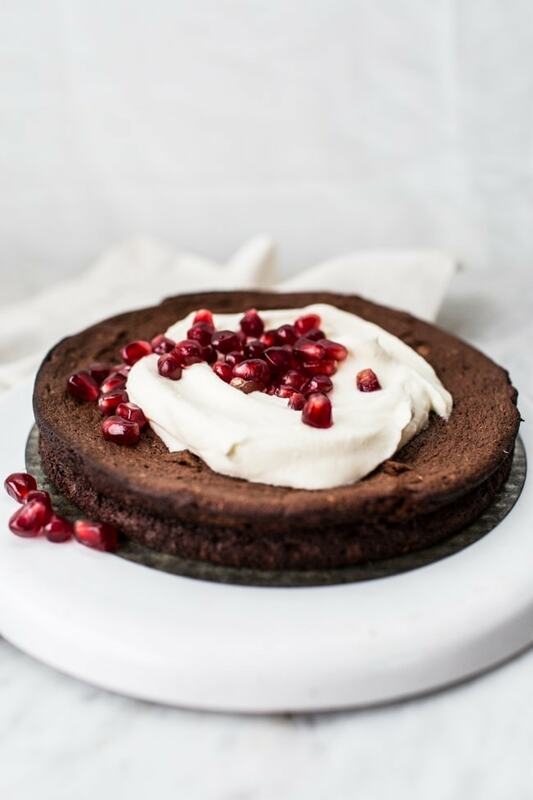 Chocolate and pomegranate seem like a lovely combination. Your photos are stunning here. Mini cakes are really in this year in catering too. We’re seeing a lot of brides asking for things like this to be served to their guests. What a lovely idea! I’ll have to give it a try! Do you think you could sub margarine to make if dairy free?